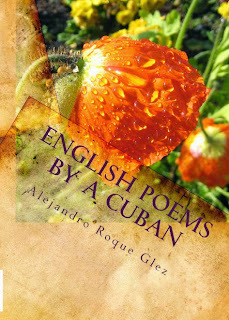 Alejandro's Libros: English poems by a Cuban. English poems by a Cuban. 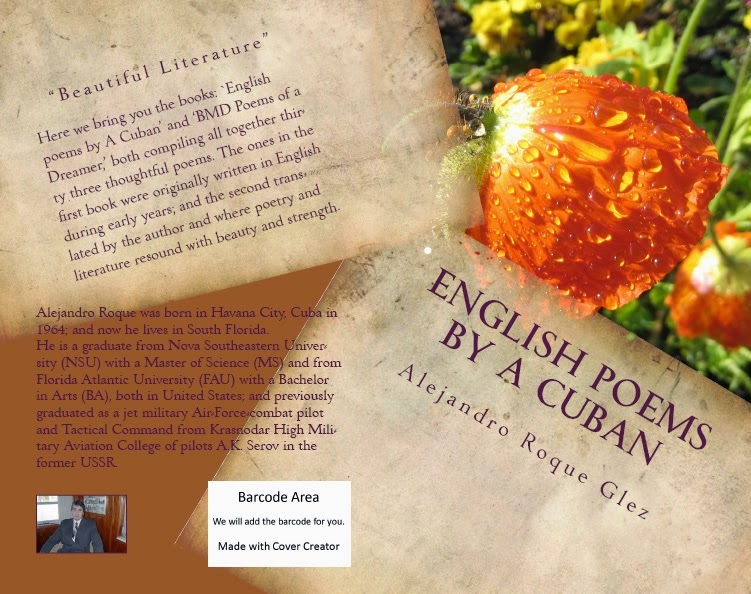 Here we bring you the books: `English poems by A Cuban' and 'BMD Poems of a Dreamer,' both compiling all together thirty three thoughtful poems. The ones in the first book were originally written in English during early years; the second translated by the author, and where poetry and literature resound with beauty and strength. -Grandma we are coming, stay with us. -Dawn will top the crown. -The fear to be somewhere. -Yesterday was a first time ever. -A rose unique as light. -Life is not a Dreamed Path. -I want to Mean and Write.